Tesla has won a legal battle in Massachusetts it had been forced to fight against the Massachusetts State Automobile Dealers Association (MSADA). Tesla issued a press release today noting that a superior court judge had dismissed the claim due to the MSADA’s “Lack of standing and failure to state a claim.” Earlier this year, Tesla had won a minor victory when a judge refused to institute a restraining order and preliminary judgment against Tesla. Legal efforts to stymie an automobile manufacturer from gaining entry to a market are not new. In the late 1890s the Electric Vehicle Company bought the patent on the automobile (gasoline powered). One reason it did so was to protect itself against legal action by others. Later that same company used the patent as a weapon and the automobile manufacturers teamed up to create the Association of Licensed Automobile Manufacturers (ALAM) to fight the barrier to entry. Eventually the two sides teamed up. When Henry Ford came on the scene he had to do battle with ALAM to secure the rights to sell his new vehicles. Instead of winning outright, and beating ALAM, Ford Motor Company was granted entry to the “car-tel.” Interestingly, Ford was considering selling his vehicles directly to the public. That all changed when he met a man named James Lehan of Stoughton MA at a glass shop on Cape Cod. Lehan offered to buy cars in advance and sell them from his bicycle shop and that evolved into one of Ford’s first dealerships. The MSADA is not trying to keep Tesla from selling cars, it just does not want the electric vehicle company selling them directly. Most states have laws that preclude manufacturers of automobiles from selling directly. They were intended to protect dealership franchises who might have the value of their companies diminished if they had to compete with the manufacturers they sold cars for. Tesla claims it is actually not planning to sell the cars it makes through these dealerships specifically anyway. 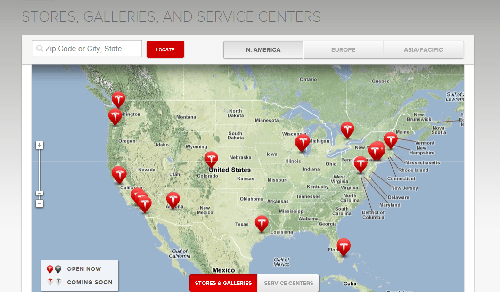 Rather, it envisions the Tesla Stores as education centers. Actual orders will all be via reservations directly with Tesla’s corporate headquarters. The dealership groups don’t buy that argument, and in any case, don’t want to allow the company to break up their business model. They are well aware that Apple has wowed customers who would have otherwise had to buy iPADs at retail outlets alone with its fancy new stores. Tesla is most worried about service. All vehicles, electric, or liquid fuel powered, need maintenance and warranty service. Those are huge, profitable operations and Tesla wants to control that aspect of its business directly. This judgment gives Tesla a win in a battle fought in Massachusetts, but more legal action is likely in other states. For more on this story, please click the links her to Nicolas Zart’s and David Herron’s prior reports. Some historical facts within this story were verified using Wikipedia and some with the Lehan family archives. What's that Saharan saying: "The dogs bark but the caravan marches onward nonetheless" or something like that. It's the way to go and it's just another choice. Since when did we become so skittish with more choice? What's wrong with selling cars directly? It's happen despite that group's cozy lobby.